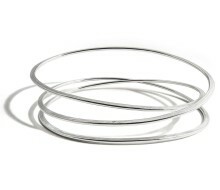 Soft silvery textured loops that spin in off-centre swirls characterize this signature double hoop bangle; it's an extrovert design, for a big impression. 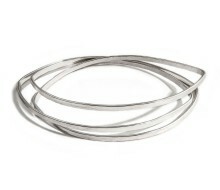 A multi-bangle effect, with no noise - a new-fangled no-jangle bangle! 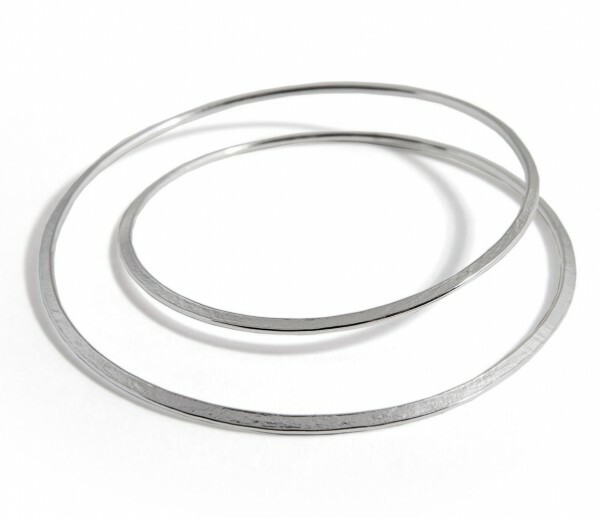 Made with all of L&N's attention to detail, the bangle is a beaten silver infinity hoop of varying thickness, with a softly sparkling textured satin finish and contrasting shiny edges; other jewellers may polish to a mirror finish, but we know just where to draw the curvy line. 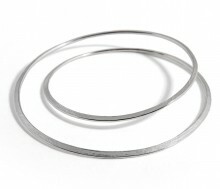 Staying true to L&N's design philosophy, the gorgeous Gyra bangle is a piece to wear forever - two bangles for the price of one! 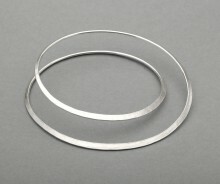 This bangle is entirely hand-made in British hallmarked silver in our workshop in the Garden of England so natural variations will occur. 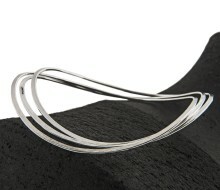 We think that adds to the charm and uniqueness of this wonderful piece. 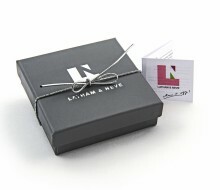 Presented in a stylish gift box exclusive to Latham & Neve making it the ideal gift. Or just buy one for yourself and show it off!